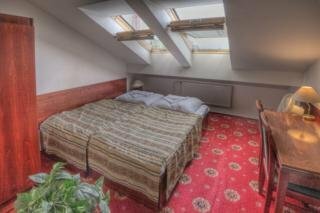 We offer our guests 64 rooms (single, double / twin with higher multiples possible), each equipped with an electronic security lock system, shower, WC, Satellite TV, Wi-Fi, room safe and fixed direct telephone line. A buffet-style breakfast is served in a stylish restaurant. There is a Wi-fi internet connection in the hotel, free of charge in the reception area. Services such as an exchange office, souvenir purchases, tickets and sightseeing-tour reservations are available 24 hours daily at our front office.Parking is available in the garage of the nearby Hilton Old Town and Marriott hotels for a fee. 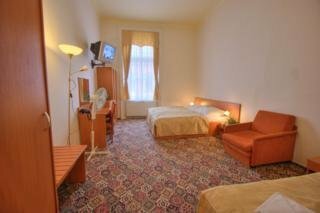 The Hotel City Inn sits directly in the heart of the city, only a few minutes walk from Prague's main boulevard Wenceslas Square and from Old Town. 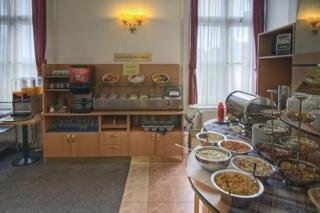 The hotel offers 8 singles, 38 doubles, 8 triples and 2 quadruples. 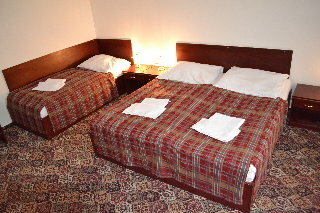 2 of the single rooms and 7 of the double rooms have a couch, which can serve as an extra bed. 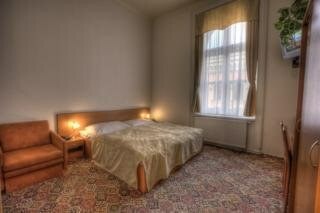 The rooms are equipped with a shower, WC, satellite TV, and telephone.